Laisimo have taken their design cues from the current LED light strip trend with the new Knight 280W Box Mod. This is a modern chassis design bears a striking resemblance to the SMOK Procolor Mod, with the Knight offering a higher overall power capacity of 230W. 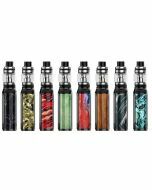 Its dual 18650 battery (Not Included) construction allows for a maximum output voltage of 7.5V. 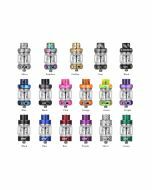 The Knight Mod is fully equipped with TC functionality, and atomizer resistances as low as 0.05 ohms. 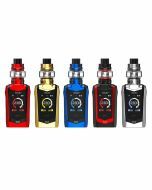 Along with the intelligent atomizer recognition, the Knight Mod features short circuit and over-heat protections and a puff monitoring system that prevents overheating of the atomizer and over-draining of installed battery cells. Design-wise, this mod looks futuristic with modern color combinations. On the front, you will see a shield that features an LED light, but it is uncertain whether the color can be customized. 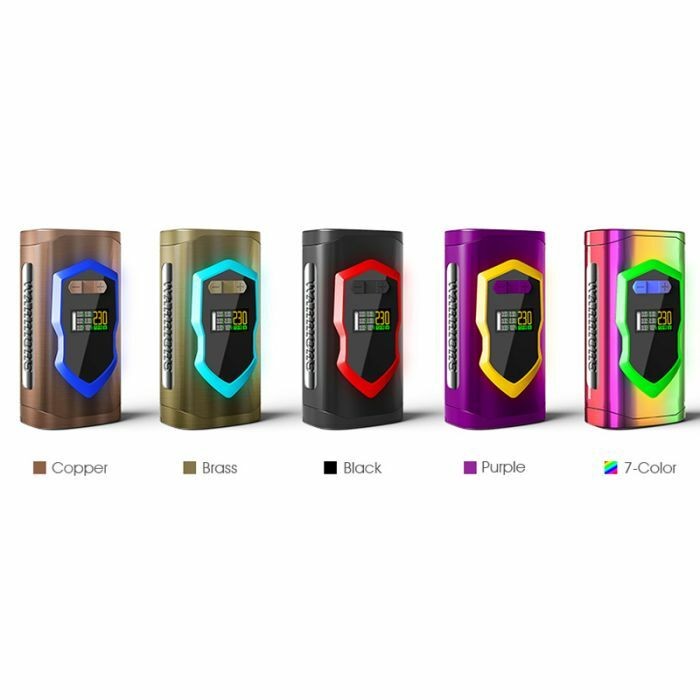 Located inside the shield, there’s a color display with a 3 line horizontal menu that displays standard vape data such as battery charge level, a battery bar, wattage, temperature, resistance, puff counts and more. The Laisimo Warriors is portable thanks to dimensions that come in at only 32.5mm x 49mm x 93mm. 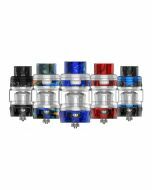 But, the unit can still fire with up to a massive 230 watts of power, 570 degrees Fahrenheit in temperature control modes and with a resistance down to 0.1ohm. 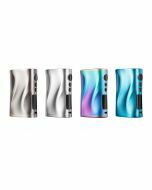 In addition to a TCR mode for expert vapers, there are three standard temperature modes, each of which is compatible with either stainless steel, titanium or nickel atomizer heating elements.